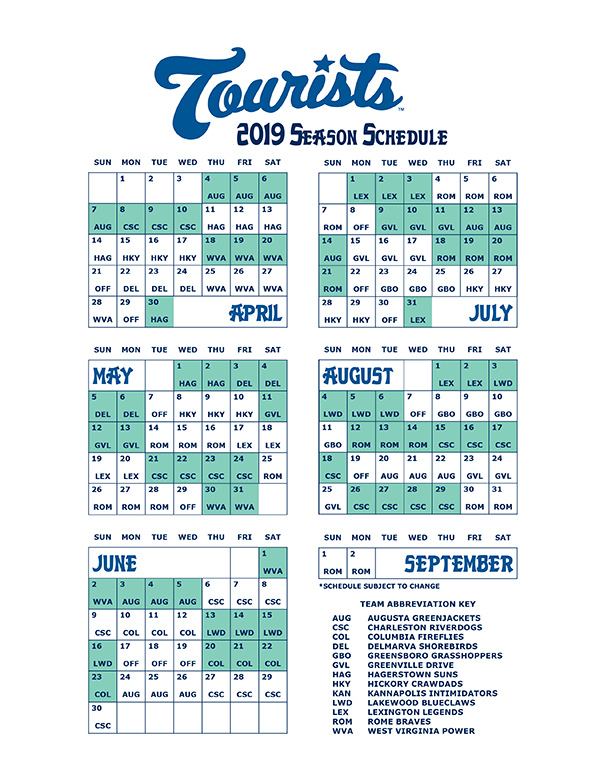 ASHEVILLE- As the 2018 season of Asheville Tourists Baseball hits the home stretch, the Tourists have officially released the 2019 baseball season schedule. Asheville plays 140 games with 70 of them coming at McCormick Field; 35 in the first half of the season and 35 in the second half. Asheville opens the 2019 season on Thursday, April 4th with a home game against the Augusta GreenJackets. The first homestand will also feature three contests against the Charleston RiverDogs and runs from April 4th - April 10th. The marquee match-up will be on Wednesday, July 3rd when the Tourists host the Lexington Legends for an Independence Day celebration. The sky will light up with a post-game Fireworks Extravaganza following the July 3 game. The season opener is one of 12 Thirsty Thursday home dates. Asheville will also host 11 Friday night and 11 Saturday night contests throughout the 2019 campaign. The Tourists will face off against the Rome Braves 22 times in 2019; including games at State Mutual Stadium on July 4th and Labor Day. Asheville will not make trips to Lakewood and Kannapolis next year. The Tourists have 12 games scheduled against the Greenville Drive in 2019; six at home and six on the road. Of the 140 games scheduled, 90 will come against Southern division opponents. Game times and the 2019 promotional calendar will be released at a later date. 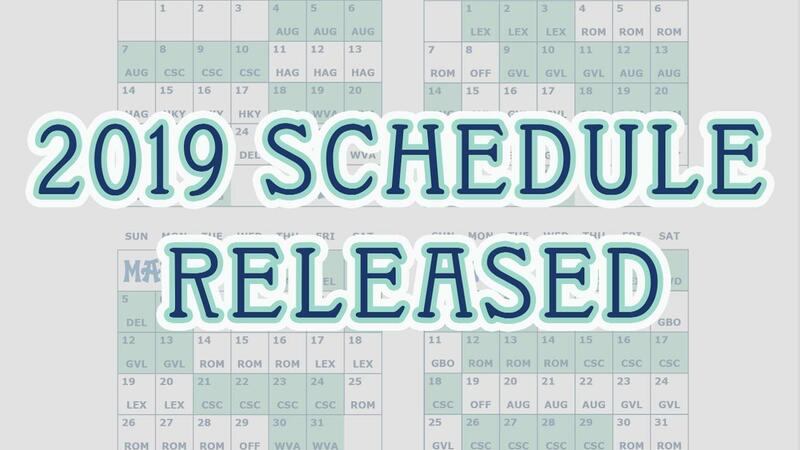 View the official 2019 schedule. The Tourists have 11 home games remaining in 2018 including three more post-game fireworks shows, Doggies at the Diamond on August 20th, and the Carolina Panthers - Two States, One Team Tour on September 2nd.